A “sexual predator” who posed as a teenager on Facebook to groom young girls has been jailed. 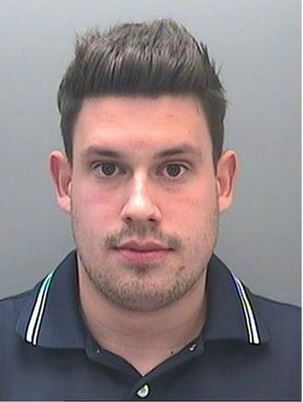 Police said Aled John Clement from Bridgend would quickly make sexual advances after befriending victims. The pervert would try to impress his young victims by showing them bundles of cash and would take them to restaurants in Barry and Cardiff. The offences took place in his car and at his home, according to police. A South Wales Police spokesman said Clement was ultimately undone by his own actions as people became suspicious, noticing his profile picture was being used under different names. He pleaded not guilty to multiple charges brought against him, but was found guilty of two counts of penetrative sexual activity with a child under 16, and two counts of non penetrative sexual activity with a child under 16. Clement used a pseudo name of Sam Jones and lied about being 17 years-old to deceive his victims on Facebook. He would groom girls by making friends with them and would pounce on new friendships, very soon after, making sexual advances. He would try to impress his young victims by showing them bundles of cash, and he would then take them to restaurants in places such as Barry and Cardiff. He would then commit sexual assaults on the young girls while they were with him – these happened in his car and also at his home. The brazen predator was ultimately undone by his own actions as people became suspicious and noticed his profile picture being used under different names. His victims reported their experiences to the police, and he was arrested on 19 October, 2014. He was sent to prison for four years at Cardiff Crown Court after his victims came forward to police.